Yes, it’s still February but spring is right around the corner, followed by beach weather. Getting a jump on fun in the sun, the Food and Drug Administration (FDA) has issued proposed new rules for sunscreen products. The proposed update to sunscreen regulations for over-the-counter (OTC) sunscreen products would align their marketing with the latest science to make sure consumers have access to the latest information and the products meet current safety rules. According to the Mayo Clinic, sunscreen products are designed to protect your skin from two types of ultraviolet (UV) sunlight, UVA and UVB. A product that is broad-spectrum, or full-spectrum, can protect you from both. UVA can cause faster aging of the skin resulting in both wrinkling and age spots. UVB rays cause burns. Too much exposure to either type can cause skin cancer. Sunscreens are rated with a sun protection factor (SPF) that measures the amount of UV rays that penetrate the screen and reach the skin. An SPF 15 rating means that ​1⁄15 of the potentially harmful radiation reaches the skin through the recommended thickness of sunscreen. That knowledge will be used to update the ratings on some sunscreen products. As a result, some of the sunscreen left over from last summer might not be rated as high in the future. In addition to efficacy, the regulations also examine whether the ingredients in OTC sunscreens are still generally recognized as safe and effective (GRASE). Of the 16 current active ingredients, two of them – zinc oxide and titanium dioxide – are still GRASE for use in sunscreens. 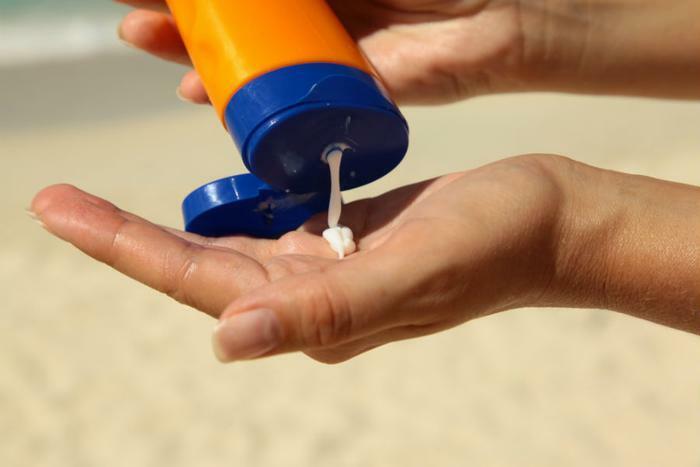 However, two other ingredients – PABA and trolamine salicylate – would no longer be GRASE for use in sunscreens due to safety issues. The FDA says there are 12 other ingredients for which there are insufficient safety data. At the same time, the rule proposes to raise the maximum SPF value on sunscreen labels from SPF 50+ to SPF 60+. The full rule will be published here on February 26, 2019.